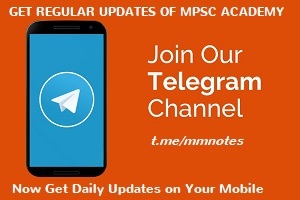 MpscAcademy.com respects the copyrights, trademarks and intellectual property of others and also we expect this from other users. In this site, if you found any information that is owned by you or any content that violates your intellectual property rights, please contact to us with all necessary documents/information that authenticate your authority on your property. This Terms and Conditions governs the manner in which Softlink Labs collects, uses, maintains and discloses information collected from users (each, a "User") of the MpscAcademy.com/ website ("Site"). This Terms applies to the Site and all products and services offered by Softlink Labs. We may collect personal identification information from Users in a variety of ways, including, but not limited to, when Users visit our site, Registration, subscribe to the newsletter, and in connection with other activities, services, features or resources we make available on our Site. How we use collected informationMpscAcademy.com may collect and use Users personal information for the following purposes. Third party websitesUsers may find advertising or other content on our Site that link to the sites and services of our partners, suppliers, advertisers, sponsors, licensors and other third parties. We do not control the content or links that appear on these sites and are not responsible for the practices employed by websites linked to or from our Site. AdvertisingAds appearing on our site may be delivered to Users by advertising partners, who may set cookies. These cookies allow the ad server to recognize your computer each time they send you an online advertisement to compile non personal identification information about you or others who use your computer. Webslogy Infotech has the discretion to update this Terms and Conditions at any time. When we do, we will revise the updated date at the bottom of this page. By using this Site, you signify your acceptance of this Terms. If you do not agree to these Conditions, please do not use our Site. Your continued use of the Site following the posting of changes to this policy will be deemed your acceptance of those changes. This document was last updated on September 26, 2016.